This is turning out to be quite a week! Because I can’t go to St Andrews next week, I’m going twice this week. Tomorrow and Wednesday will see me leave the house at 6.30 am – an ungodly hour for me! – and then on Saturday, I head across to Edinburgh again (as a destination rather than a train-change), to be a guest speaker at the Scots Fiddle Festival. I’ve got my Saturday talk pretty much sorted out, though I do like to spend a bit of time polishing a talk in the week before I actually give it. I find it a little bit unnerving to be spending two solid research days on the new project, but devoting my evenings to reflection upon the old one. And I also had an interesting meeting today, looking ahead at potential grant applications. So, that’s past, present AND future research plans all whirling about in my head. Small wonder I need to write things down! Much of my ‘teaching’ is not what you’d call teaching – but I author many library guides on different aspects of our service provision, to provide information and instruction, ie, not only what we offer, but also how to use and get the most benefit out of those resources. And upon reflection, I decided that this was indeed part of my teaching ‘practice’. Reflection’s a good way of owning and identifying what you do as part of your professional practice, and in a sense, validating your decisions for what you do. I don’t just “happen” to write these guides – they’re written intentionally and for specific purposes. 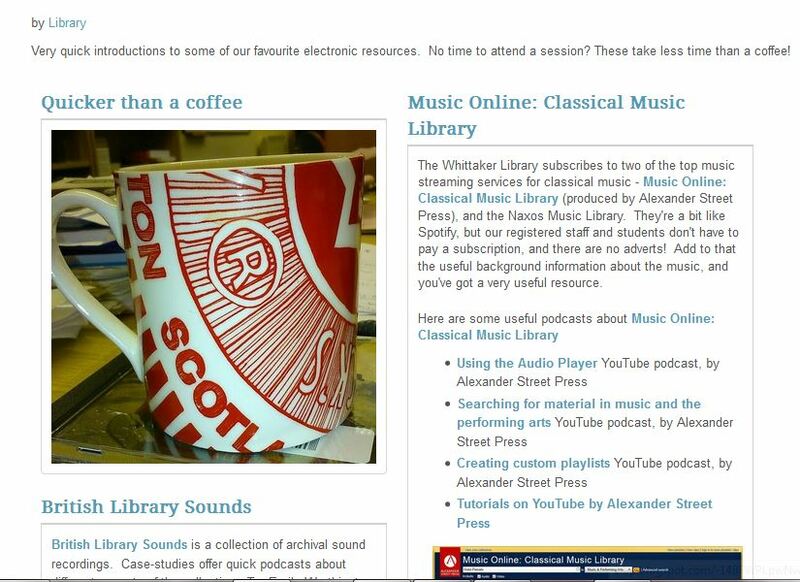 If you’re a student or teacher at the Royal Conservatoire of Scotland, you’ll be able to log into Moodle and Mahara, and see all the guides we offer – I authored all the music and most of the general ones. Here. If you’re an external reader, you won’t be able to see my guides, but you’ll be able to access the lists of all our electronic resources via the Library and IT webpages. Here. 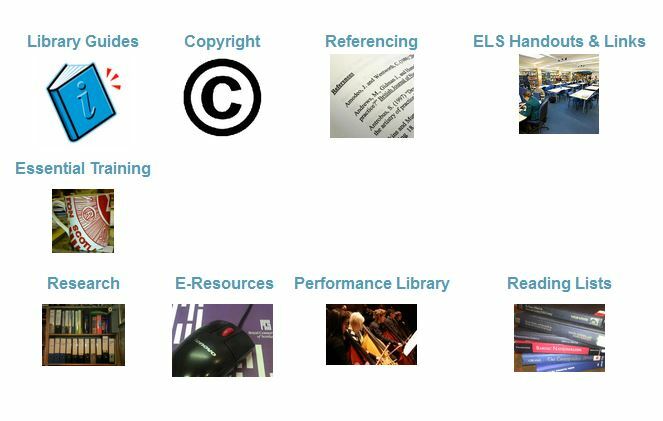 The ‘Essential Training’ page won’t necessarily stay in that format once I’ve done all ten guides, but for now, it keeps them together so my library colleagues can dip in and explore resources that they’ve maybe not looked at for a while. I was tasked with producing a single-sided pdf, so all this info must fit onto an economically-worded poster! Edwards, Richard; Biesta, Gert and Thorpe, Mary eds. (2009). Rethinking contexts for learning and teaching: Communities, activities and networks. London, UK: Routledge. http://oro.open.ac.uk/17118/ – Mary’s the link is just to the abstract. However, a preview of the book – the Introduction – can be read in Google Books, here:- http://tinyurl.com/phm7gqb. Richard Edwards’ Introduction begins by defining contexts for learning and teaching, explaining that we can imagine “context” as soup in a bowl – where the text (the soup) is confined within the bowl. Thus, we extrapolate that learning takes place in different formal and informal contexts, particularly in the present emphasis on lifelong learning. We can imagine the learning context as being various strata, or levels, and it follows that learning can be formal or informal (along a continuum), personal or in an educational system, and perhaps situated in communities of practice. The boundaries can be fuzzy, of course. When my mother hosts a gardening club or attends a patchwork club, it’s not a strictly educational setting, but learning (and teaching) certainly take place – the passing on of information between individuals or small groups. Members of such groups may also learn at home, whether by books and magazines, broadcasts or internet searching. If one of these individuals then chooses to attend evening classes or a college course, then obviously the context will have changed again, as indeed will the homework or self-directed learning taking place between formal classes. I have to confess that this is getting a little complicated! For my practice, I’m inclined to think that I don’t really need to know about the metaphors of purification, translation and naturalization. What constitutes a context for learning? Very many different situations can be perceived as a context for learning, as I’ve suggested above. It follows that our learners will probably be learning in many of these contexts, and as lifelong learners in particular may be learning in a variety of less formal situations in addition to, or in place of, the classroom environment. How do we engage the full resources of learners for learning? This is dealt with in Part 2 of the book (as we find on p.10 – still the Introduction). Google books doesn’t allow me to find Part 2, so I am left asking myself whether by ‘resources’, we mean learning resources, or mental capacities and learned educational skills. Amazon also offers previews, so I move across to Amazon at this point:- http://tinyurl.com/oedmf8s. I deduce that the resources alluded to are texts in all their variety and differing presentations, whether a book, article, web-based resource or whatever. My instinct tells me that we need to engage learners with a variety of different resources, since we know that different learners prefer different learning resources. What are the relationships between different learning contexts? I wasn’t able to find the part of the book dealing with this area. I imagine the relationships between them can be many and varied, and that boundaries are perforce blurred. If I am studying at home for a course like this, then the relationship between my “home, internet” context and the classroom physical context is fairly clear-cut. However, if I were studying at home but with no formal learning structure, then this would be a different context. How do we methodologically and theoretically conceptualise contexts for learning? I cannot read the initial chapters which seem to cover this topic, but I have glanced at the contents pages in Part 1 of the book, and the answers to these questions would appear to lie in ‘theorizing learning by looking at genre and activity’ (David R. Russell); ‘taking an actor-network view of the classroom’ (Steve Fox); ‘looking at learning and context from the perspective of complexity theory’ (Tamsin Haggis); whilst Gert Biesta writes about the value of pragmatism in understanding ‘learning in context’. However, I feel handicapped here by my lack of knowledge of the psychological and philosphical vocabulary employed in educational theory. Perhaps, in a course of this length, it suffices to get an overview; clearly I can’t absorb and assimilate this theory to the same depth as I have studied within my own subject speciality. And now some more reflective reading! This article comes from a Newsletter published by Newcastle University: Newsletter 01.6, specifically written for MEDEV, School of Medical Sciences Education Development, Faculty of Medical Sciences, Newcastle University, NE2 4HH. I’ll print it out so that I can refer back to it. http://www.medev.ac.uk/newsletter/article/32/Authors: Prof. David Brigden; Mr Nigel Purcell. Last week’s session was led by Andrew in Mary’s absence, and used her PowerPoint presentation, ‘The Teaching Artist: Reflective Practice’. As part of this, we looked at John Connell’s poem, I am learner, in which he stresses the important role the LEARNER plays in their education, and how they make different connections and pick up different threads, depending on their own learning journey and prior experiences. John Dewey, American educationalist, once said that, ‘If we do not reflect on our experiences, we do not learn from them.’ Speaking as a fairly recent PhD graduate, I know this to be true: I am very conscious that I had learnt a lot from my mistakes between the first, unfinished PhD abandoned when I was 24, and the second, completed one when I was 51. My whole methodology was very different, much more methodical and generally more focused. Having recently been a student and experienced doctoral study in the digital age, I believe I have much useful experience to draw upon when it comes to teaching others. When I’m consulted as a subject librarian, I’m a subject expert with skills in bibliography and research methodology, and this makes me almost what in some colleges would be called a ‘tutor librarian’. At the same time, I have to remember that my study was a university PhD, and I must not assume that undergraduate performers will adopt the same approaches to their subject as I did (and do). I looked through and printed out the slides of Mary’s PowerPoint, three to a page, so I could annotate it. I had resolved to watch Eric Booth’s ‘Making Creative Connections, Active Listening and Reflection; Birkenhead and Stevens’ The Performance Reflective Practice Project (2003) was also cited, as was Zeichner as quoted by P. Warwick in 2007, ‘Reflective Practice: Some Notes on the Development of the notion of Professional Reflection’. We are invited to consider the five key features of reflective teaching as expounded by Zeichner. As I write this evening, I’ve watched Booth’s presentation but have yet to look for Birkenhead and Stevens’ project. The powerpoint invited us to consider what reflective practice means to a teaching artist, and what might go in a reflective journal – plainly, reflection is key, and the journal must record more than just ‘what was done’. I liked the slide illustrating reflective practice as a cycle – reflecting on action, in action, and for action – in other words, reflecting as the teaching is taking place, reflecting after teaching has taken place,a nd reflecting as a way of preparing for future teaching. As a class, we talked about the slide quoting Confucius – his three ways of acquiring wisdom, namely by reflection,by imitation (the easy option) or by experience, ‘which is the bitterest’. There was some debate about this last. I don’t have a problem with the ‘bitter experience’ option – obviously, teaching and learning will employ all three methods at times. Did I practise better research study methods a quarter of a century later, because I had reflected on what went wrong, or through ‘bitter experience’? To be honest, I’d say I had reflected on bitter experience, so these two are clearly linked. Similarly, there’s a place for imitation. If someone demonstrates a fruitful methodolology or technique, and the less experienced student imitates it, then the modeling/imitating paradigm is serving a valid purpose. Blind imitation, no. Thoughtful imitation, yes of course. 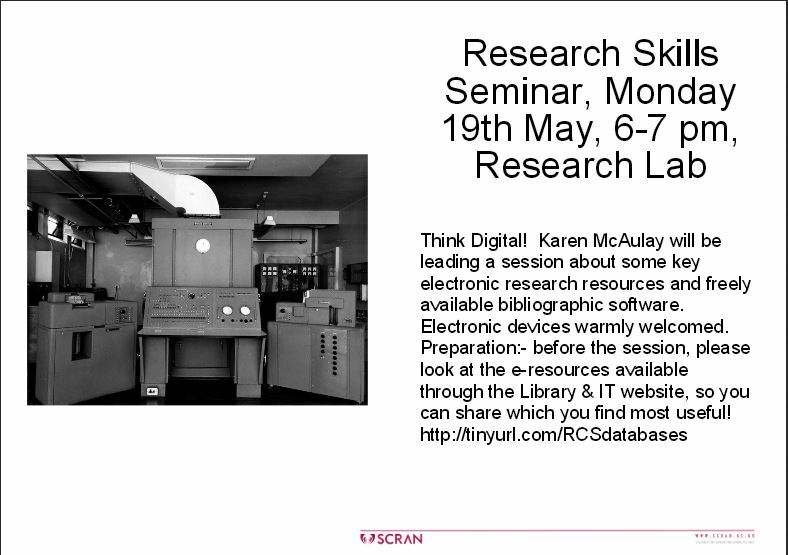 The penultimate slide cites another reference to follow up: Kemmis’, ‘Action Research and the Politics of Reflection’, inBoyd, Keoghand Walber, Reflection: Turning Experience into Learning (1985). I’ll try to read some of these references later on this week. Another of our tasks for this week, was to explore the resources in the Reflection in Learning and Teaching area on Moodle, and to read and reflect upon some of them. In addition to watching Booth’s ‘Making creative connections’, I have also watched John Connell’s ‘I am Learner’ blog podcast about his new learning platform currently in development, ‘CommonLearn’ – classroom learning ‘in the cloud’, and looked at Marcia Jackson’s presentation, ‘The Artist/Teacher Identity in the Classroom’, about professional identity management strategies for the teaching artist. Her statement that ‘Multiple identity roles such as artist, teacher, mentor and researcher add value to the practice of both artist and pedagogy’ was a great endorsement for the multiple identity that I see myself as embodying. A good place to stop writing and start reflecting ….! When I and my siblings were at school, exercise books and loose-leaf folders were the primary medium in which active learning took place. You attended lessons; you did required reading; or for an extended piece of work, you did further reading on your own. Exercises, whether maths, a language, social sciences or creative writing – or, in my case, music – were written down and handed in. Once marked, they came back to you with comments and a grade. No pictures – or very seldom. No attachments of other text documents or media. And above all, no weblinks, because the internet hadn’t yet been invented. Indeed, only grown-ups had typewriters. When, as an undergraduate, I acquired a manual typewriter, I was avant-garde, and if you think that was advanced, then my attendance at typing classes as a postgraduate was way ahead of my time. I went to the local FE college for night-classes to do that, entirely on my own initiative. However, the approach to learning was different, too. I don’t recall ever having to write a reflective journal, for a start! What happened between the teacher, the lesson and the finished assignment was pretty much up to the learner. Sure, I was a frequent library user, but I don’t remember ever logging my own progress, let alone reflecting upon it. Let’s go back to the ‘no internet’ aspect. I started a PhD in 1981. For perfectly valid reasons, I didn’t complete it – it took another quarter of a century before I started again on a different subject. But it’s the comparison that is interesting. I am in the fairly unusual position of being able to compare pre-internet doctoral studies with doctoral studies today. No online bibliography, whether commercial software, social bookmarking or even a simple online list. No online journals, books – no online anything! They have the potential to produce work which is visually and technically much more proficient, though the content itself will of course reflect the level of their understanding. However, they can store vast quantities of data, edit and re-edit their own work, use spell-check, and incorporate a whole range of media not available in the pre-internet age. Moving away from the written (or multi-media) work, today’s learner in the performing arts can record and share their performances, and can participate in peer-review of each others’ practice. Their portfolio can include not only a digital CV, but also performances and perhaps links to online reviews. No matter what learning takes place, or when it takes/took place, the prime motivation of learning is surely to gain in proficiency at the chosen subject or skill. However, today’s digital world makes it possible, and indeed likely, that the learner will have their work mediated in the public sphere at a much earlier stage. Learning can be purely for enjoyment, of course, but ambitious performers will want their best practice to be visible to others, not only to share amongst their peers, but also to assist employability by demonstrating their skills. I am not in the position where I require written or recorded work from the people I teach, and my sessions with students are generally one-off occasions, whether in large or small groups, or one-to-one. If I’m giving a musicology lecture or presentation, then my aspiration is to share my enthusiasm for the subject; to pass on knowledge; and to enthuse my listeners to go and find out more for themselves. I also give talks on aspects of research methodology, bibliography, or career paths; in these instances my aim is to encourage and pass on helpful advice without patronising my audience. The same can be said in my role as a subject librarian, because I hope to encourage students to become proficient in using library resources, whether the catalogue, printed or online bibliographies, or more complex databases. These are all key skills that will stand our students in good stead in their future careers, when they will have to spend time searching both for performing materials or background information, to help them in interpreting their repertoire, or in writing programme notes. I want to go beyond finding materials for our students, and to help them learn to do this themselves, encouraging them to have a critical eye and learn to identify good authoritative editions of the music they perform; and furthermore to encourage them in good practice as regards keeping records of useful resources for future reference. You could call this future-proofing their careers. I can’t tell them how to play their instrument, but I can teach the essential background skills to keep organised records; save weblinks; interrogate databases or download an e-book, for example. When I’m taking choir-practices, on the other hand, then my aim is to teach first the notes, and then the interpretation of the notes, so that my singers will know their parts and how they interact with one another; and will feel confident enough to perform in public. As I explained, I do not have the opportunity to set assignments of any kind, and am often not in a position to assess understanding afterwards, except when I’m working with my choir! However, I’m hoping that this course will give me some pointers as to how to maintain the attention of a class; and how to make a lecture/seminar/training session more interactive without losing control of the class.